Distortion occurs due to the relief of locked-in stresses within a steel section or fabrication. 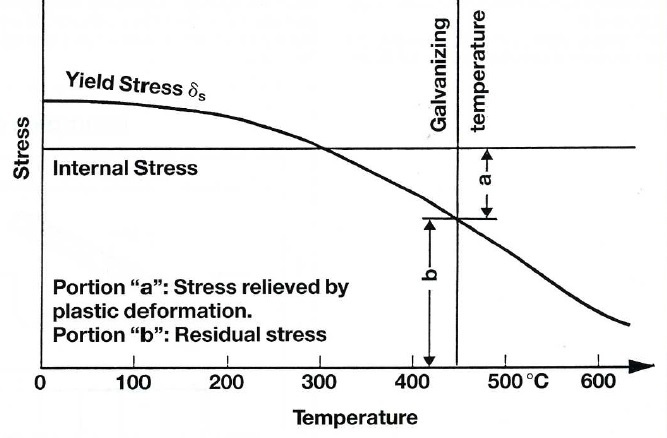 At room temperature, the steel is sufficiently strong to accommodate such stresses, but at the galvanizing bath temperature, the steel`s yield strength may be reduced by up to 40% (note the steel recovers its full strength when it cools to ambient temperature). If the internal stresses, then exceed the steel`s yield strength they can not be accommodated and the steel distorts due to plastic deformation taking place (image 1). The occurrence of distortion is dependent upon the level and distribution of internal stresses and in some cases stresses may balance out such that distortion does not occur. Where an article can not be single dipped due to its size consider splicing the structure so that it can be dipped as two separate parts, each being single dipped. The pieces may then be joined by bolting or welding after galvanizing. Where thin sheet or mesh is welded into a frame it is very likely that it will distort by bucklink or bowing during the galvanizing process (Image 2). 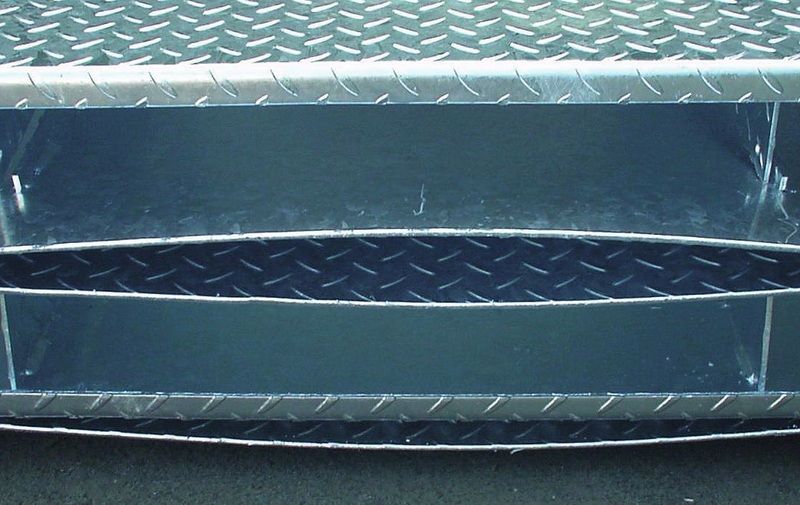 The potential for distortion is significantly reduced by galvanizing the frame separate to the sheet or mesh and then joining after galvanizing. Thin sheet has a relatively low rigidity and may also contain high internal stresses due to having been cold rolled. Increased rigidity might be achieved by folding over the edges of the sheet so reducing the potential for distortion. Alternatively, temporary bracing may in some instances also help avoid distortion. There is always some potential for an article to distort during the hot dip galvanizing process. However, by taking suitable precautions it is normally possible to prevent distortion from occurring in the vast majority of cases.